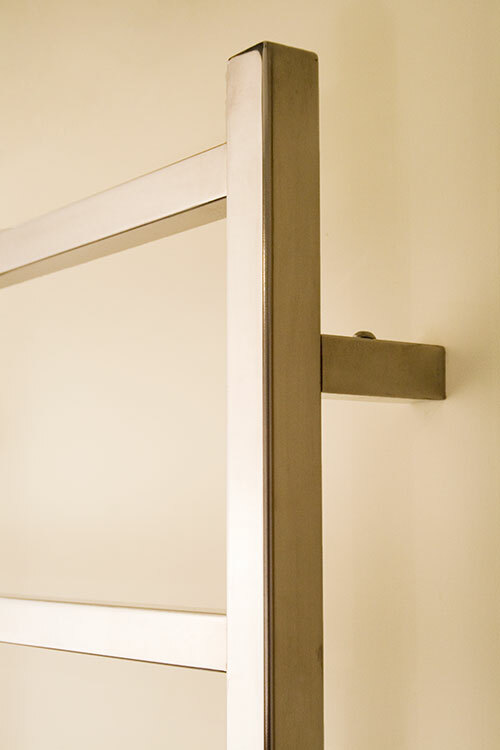 This stylish British made stainless steel heated towel rail brings high quality to bathroom design. 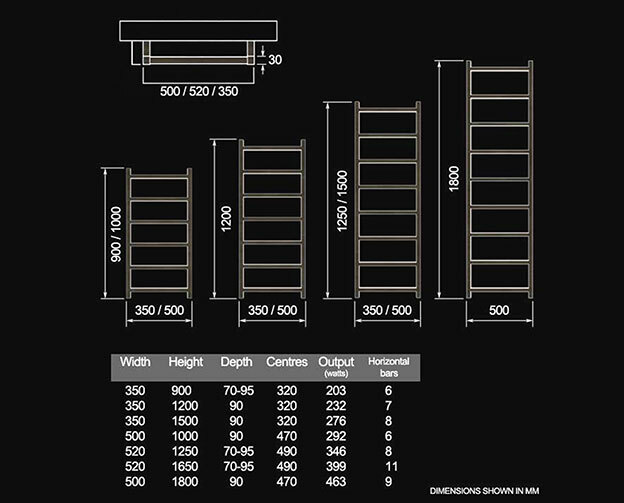 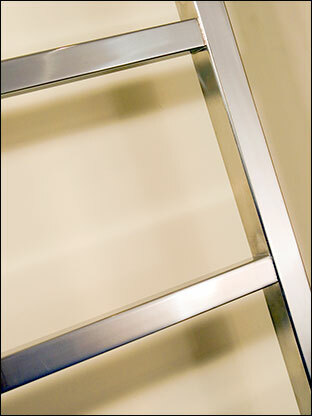 The ladder styled bathroom radiator is manufactured in top quality stainless steel with a high polished finish. 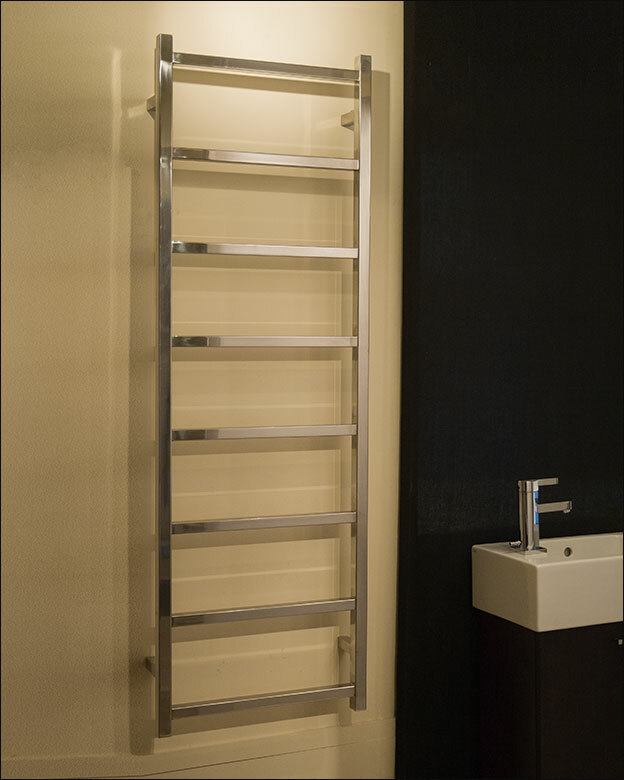 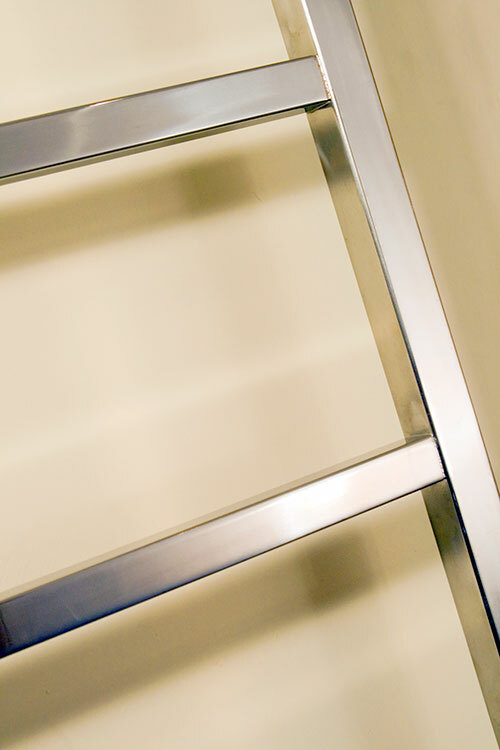 Stainless steel is an ideal material for towel rails allowing good heat outputs, longevity and suitable for both open and closed heating systems. 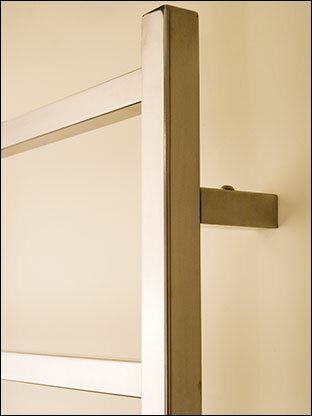 With wide and well spaced heated towel bars this bathroom radiator is easy for towel hanging.